On a recent trip to the Carson Pirie Scott department store, I came across a display of (ridiculously expensive) baseball-themed purses. The designer bags were emblazoned with the logos of Major League Baseball teams, and a sign above the rack where they hung read, “Yes, girls love sports, too!” I was appalled at the fact that this was an actual marketing strategy - the implication that girls can’t show their love for sports unless it’s stitched into a cute purse. There’s a movie that taught me at a young age that, “yes,” I could love sports just as much as boys do, and it doesn’t make me any less feminine. It’s a little film you may have heard of, called A League of Their Own, and it’s celebrating its 25th anniversary this July. 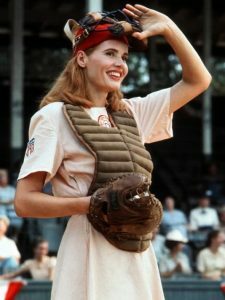 “It’s had a tremendous impact on girls playing sports,” star Geena Davis told Parade Magazine in April. “That’s what I hear constantly: ‘I play sports because of that movie,’” said the actress, who founded the Geena Davis Institute on Gender in Media. 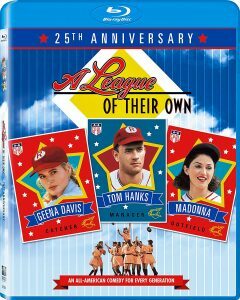 Set in the middle of WWII, A League of Their Own takes place in 1943 and tells the fictional story of the Hinson sisters, who join the wartime All-American Girls Professional Baseball League (a real-life organization that lasted all through the 1940s). Players were required to wear skirts during games (even catchers like Davis’ fictional Dottie), attend etiquette lessons and “wear lipstick at all times” - an actual line straight out of their rules of conduct. The cast will reunite this summer at the Bentonville Film Festival, and a special 25th anniversary Blu-Ray version was released April 18. Director Penny Marshall’s iconic film also stars Tom Hanks (who utters its most famous line), as well as Rosie O’Donnell, Lori Petty and Madonna. It's an incredibly enjoyable two hours, telling the story of a forgotten part of history, but there's so much more to it than "there's no crying in baseball." There are poignant moments between sisters, sad reminders of the realities of war, and constant reminders of how differently women were treated as they tackled stereotypes and unfairness with grace. These gals could literally throw fastballs and hit doubles into the left field gap while wearing skirts. It's a great metaphor for the women in our own lives who step up to the figurative home plate and hit home runs on a daily basis. “To be able to be a part of a movie that is about women having a chance to do things they don’t ordinarily get to do was incredible,” Davis said. And now, in 2017, it's hard to resist using the phrase "Nevertheless, they persisted!" When the story jumps ahead to 1988, the league’s players (now much older women), visit a Cooperstown exhibit dedicated to this special time in their lives and in the game of baseball. One of the teammates begins singing their old victory song: “Batter up, hear that call, the time has come for one and all to play ball….” The time has come for one and all. Yes, girls love sports, too... and they also love the movies that inspire them to be their tough, funny, smart selves. Because no matter what uniform you’re wearing, this beautiful game is the same. Top Photo: "Dottie Hinson" (as portrayed by Geena Davis) was the OG role model for female athletes. 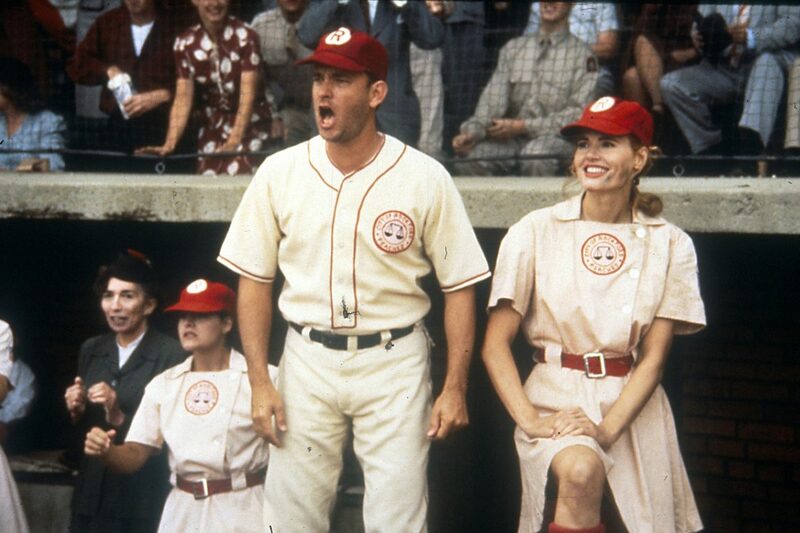 Bottom Photo: Tom Hanks and Geena Davis -- terrific as they both are -- are just two of the reasons why A League of Their Own stands the test of time. 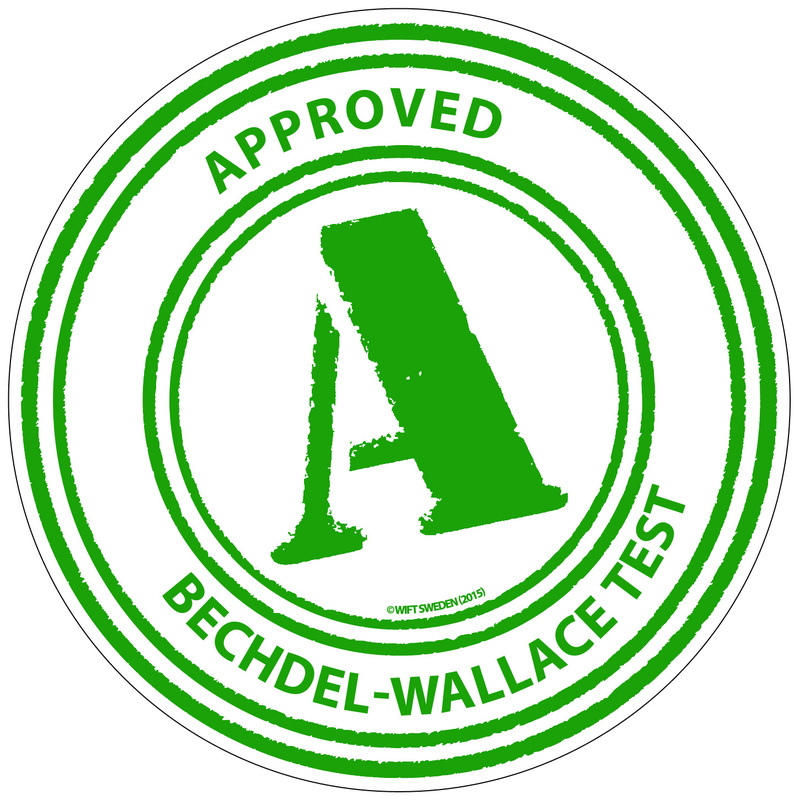 Q: Does A League of Their Own pass the Bechdel-Wallace Test?